The Loire châteaux are located not far from Paris. If you’d like to like to visit them but have no more than a day to spare, they are fortunately easy to get to by car or TGV train in just an hour or so. 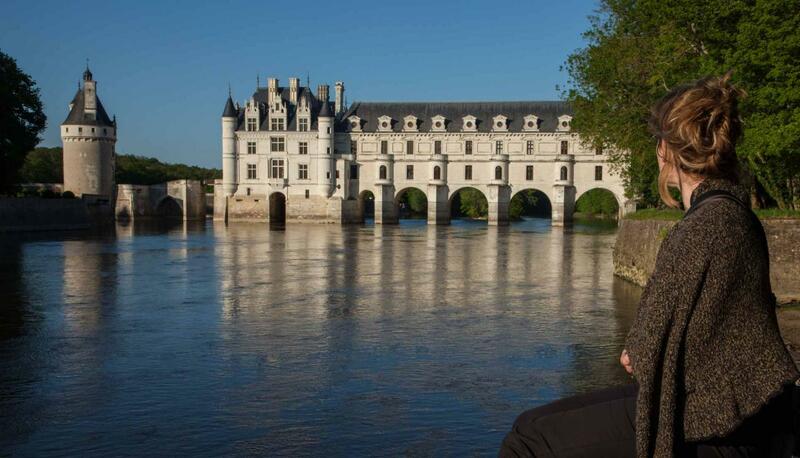 Below are two single-day itineraries in the Loire Valley. The prestigious Château of Chambord and Château of Chenonceau are 1hr50min and 2hr20min from Paris respectively by road. Travel to them by hiring a car in Paris or catching a TGV train to Saint-Pierre des Corps (near Tours), which will take 1hr15min from Paris Montparnasse train station or 1hr40min from Paris-CDG airport train station. From there, hire a car or treat yourself to a ride in a tourist taxi. By car: 1hr50min from Paris (178 km), 55 minutes from Tours (78 km) and 55 minutes from Chenonceau (57 km). 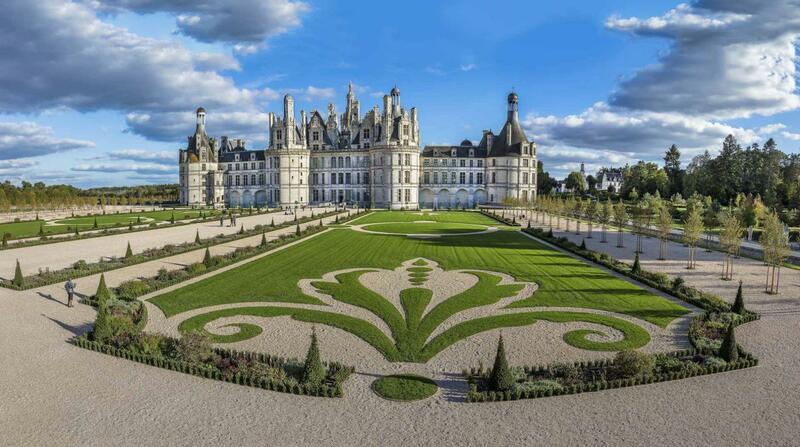 The vast, majestic Château of Chambord is the most illustrious of the French Renaissance châteaux. There are a range of options for exploring the estate: on foot, in a horse-drawn carriage or on an electric or rowing boat on the river Le Cosson. The estate also has 15 km of cycle paths to explore on a classic or multi-person bike. In Chenonceau, the Self Service restaurant is ideal for a quick meal while L’Orangerie offers more refined dining. In Chambord, stop by at Monument Café Chambord if you’re feeling just a little peckish, or La Maison d’à Côté in Montlivault (8 km from Chambord) for a more gourmet menu. On your way between the two châteaux, stop off at the Max Vauché chocolate factory in Bracieux (18 minutes, 10 km, from Chambord) to taste some delicious chocolates. By car: 2hr20min from Paris (237 km), 35 minutes from Tours (33 km) and 55 minutes from Chambord (57 km). This emblematic white château looks like a shimmering mirage in the waters of the Cher river. When the weather is fine, take a trip beneath its arches in a hire boat or go on a guided tour with the crew of La Bélandre. 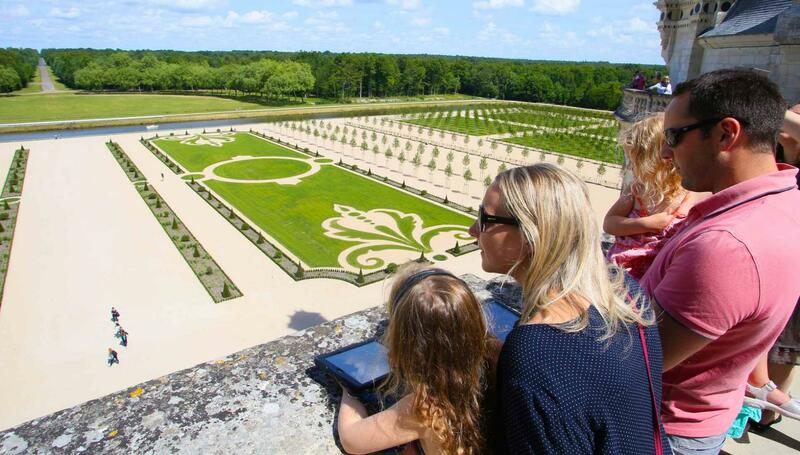 Don’t miss out on visiting the gardens, which are strongly influenced by the French formal tradition, including the sumptuous parterres in the Diane de Poitiers garden covering an area of 12,000m2, as well as the Catherine de’ Medici garden, labyrinth, Jardin Vert (green garden) and Flower Garden. Round off the day by visiting a third château of your choice. 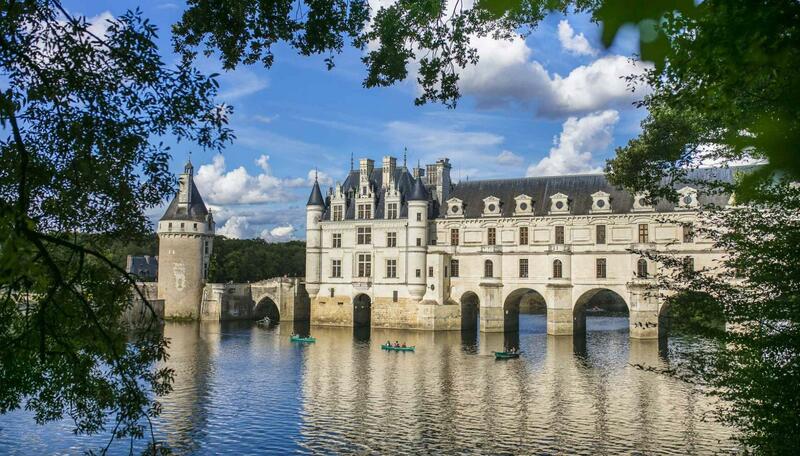 To return to Paris by car, allow 2hr 20min from Chenonceau (237km) and 1hr 50min from Chambord (178 km). If you’re travelling by TGV, head to Tours railway station which is 55 minutes from Chambord by car (78 km) and 35 minutes from Chenonceau (33 km).